Everybody's all in a tizzy over the new Chrome for Android browser -- and rightfully so. It's likely the future of default browsing on Android going forward. But, guess what: It doesn't support Adobe Flash Player. And that should not come as a surprise to anyone. And Adobe said exactly as much in a blog post today. 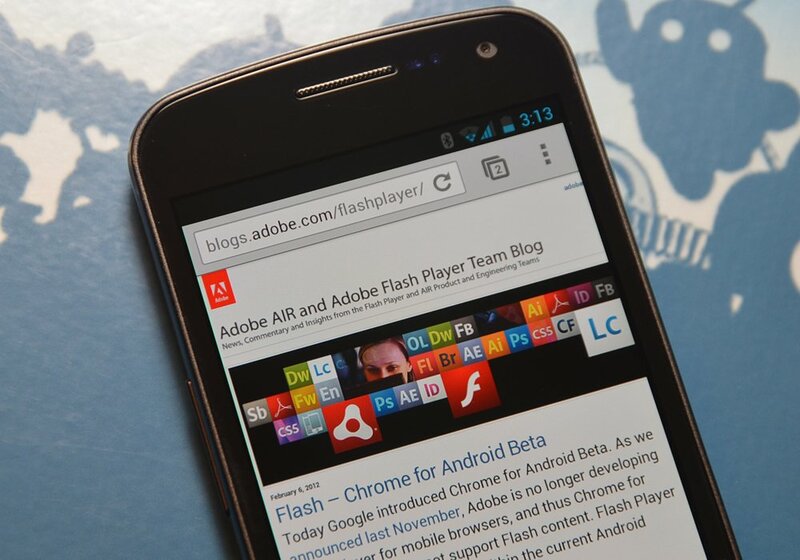 Adobe is no longer developing Flash Player for mobile browsers, and thus Chrome for Android Beta does not support Flash content. Flash Player continues to be supported within the current Android browser. Makes perfect sense, folks. If your favorite website's not yet moving toward HTML5, it's time to warm up your e-mail-writing fingers.